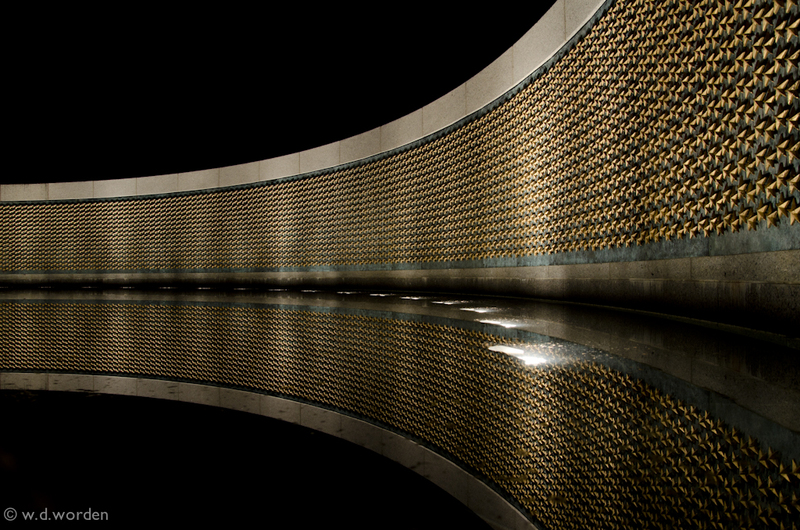 Each of the 4,084 stars represent 100 Americans killed or missing in WWII. That will make you think. Sad to think of those missing soldiers. Excellent compostion! I love it when you actually listen to me! :) I wanted you to see the statues however. Surely you did. This is a fine shot. Hope you get to the National Gallery of Art. I spent a whole wee there years ago. Beautiful photo, Wayne, with the perfect reflection... This is an outstanding memorial.